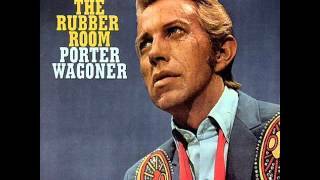 Get Porter Wagoner essential facts below. 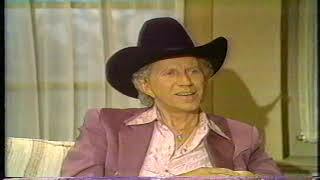 View Videos or join the Porter Wagoner discussion. 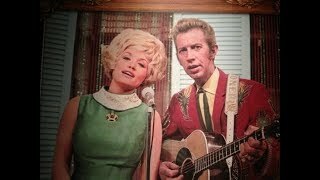 Add Porter Wagoner to your PopFlock.com topic list for future reference or share this resource on social media. 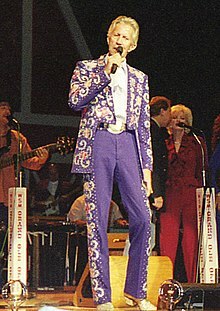 Porter Wayne Wagoner (August 12, 1927 – October 28, 2007) was an American country music singer known for his flashy Nudie and Manuel suits and blond pompadour. 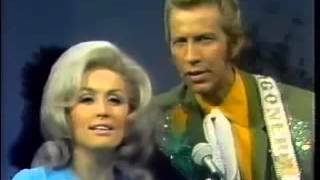 In 1967, he introduced singer Dolly Parton on his television show, and they were a well-known vocal duo throughout the late 1960s and early 1970s. Known as Mr. Grand Ole Opry, Wagoner charted 81 singles from 1954–1983. He was elected to the Country Music Hall of Fame in 2002. Wagoner was born in West Plains, Missouri, the son of Bertha May (ne;e Bridges) and Charles E. Wagoner, a farmer. 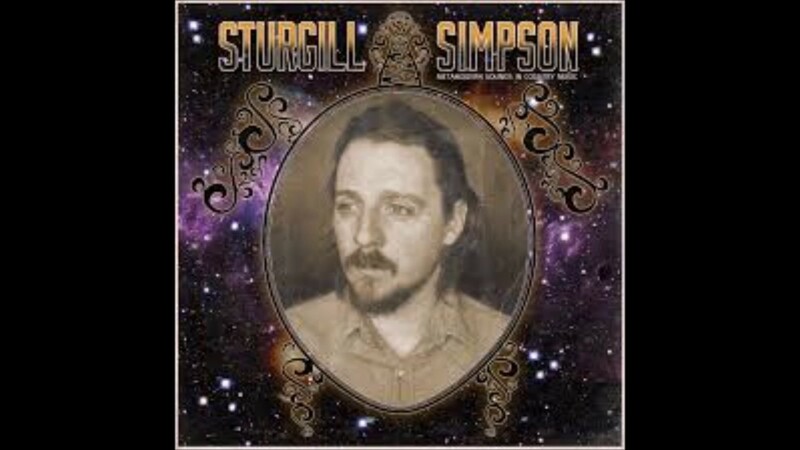 His first band, the Blue Ridge Boys, performed on radio station KWPM-AM from a butcher shop in his native West Plains, Missouri, where Wagoner cut meat. In 1951, he was hired by Si Siman as a performer on KWTO in Springfield, Missouri. This led to a contract with RCA Victor. With lagging sales, Wagoner and his trio played schoolhouses for the gate proceeds; but in 1953, his song "Trademark" became a hit for Carl Smith, followed by a few hits of his own for RCA Victor. Starting in 1955, he was a featured performer on ABC-TV's Ozark Jubilee in Springfield, Missouri. 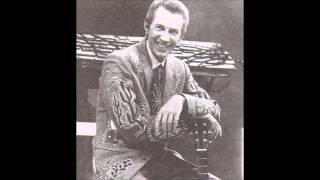 He often appeared on the show as part of the Porter Wagoner Trio with Don Warden and Speedy Haworth. Warden, on steel guitar, became Wagoner's long-time business manager. In 1957, Wagoner and Warden moved to Nashville, Tennessee, joining the Grand Ole Opry. Like many of his contemporaries in country music, Wagoner toured and performed outdoors for fans at American Legion houses in rural towns. Fans sat on wooden benches facing what was often a makeshift stage. Wagoner would mingle with the audience during performance breaks and usually remembered the names of the towns he visited. Wagoner's 81 charted records include "A Satisfied Mind" (No. 1, 1955), "Misery Loves Company" (No. 1, 1962), "I've Enjoyed as Much of This as I Can Stand" (No. 7, 1962–1963), "Sorrow on the Rocks" (No. 5, 1964), "Green, Green Grass of Home" (No. 4, 1965), "Skid Row Joe" (No. 3, 1965-1966), "The Cold Hard Facts of Life" (No. 2, 1967), and "The Carroll County Accident" (No. 2, 1968-1969). 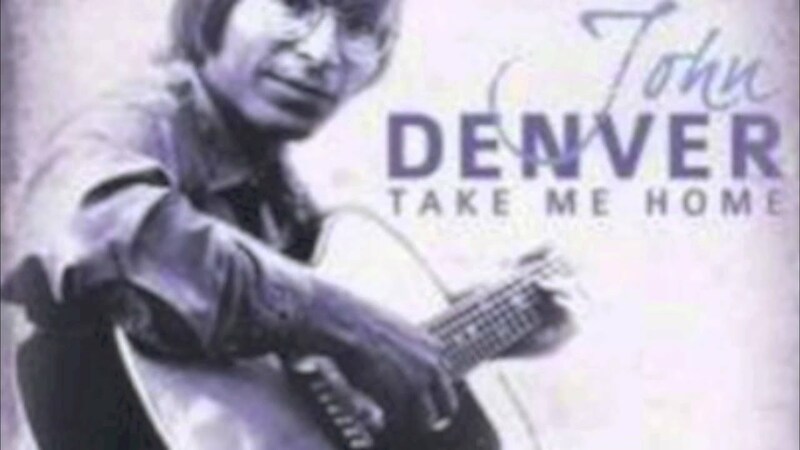 Among his hit duets with Dolly Parton were a cover of Tom Paxton's "The Last Thing on My Mind" (1967), "We'll Get Ahead Someday" (1968), "Just Someone I Used to Know" (1969), "Daddy Was An Old Time Preacher Man", (1970), "Better Move it on Home" (1971), "The Right Combination" (1972), "Please Don't Stop Loving Me" (No. 1, 1974) and "Making Plans" (No. 2, 1980). He also won three Grammy Awards for gospel recordings. 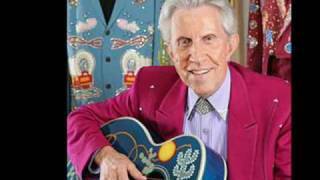 His syndicated television program, The Porter Wagoner Show, aired from 1960 to 1981. 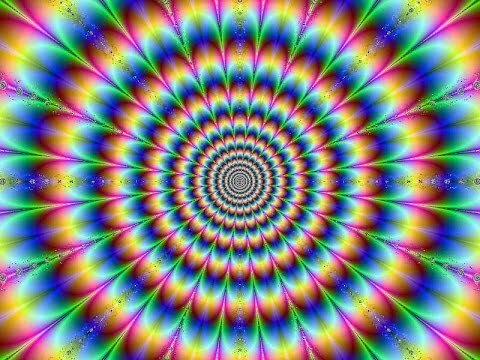 There were 686 30-minute episodes taped; the first 104 (1960-66) in black-and-white and the remainder (1966-81) in color. At its peak, his show was featured in over 100 markets, with an average viewership of over three million. Reruns of the program air on the rural cable network RFD-TV and its sister channel in the UK Rural TV. Wagoner brought James Brown to the Grand Ole Opry, produced a rhythm & blues album for Joe Simon, and appeared in the Clint Eastwood film Honkytonk Man. During the mid-1980s, Wagoner formed an all-girl group, The Right Combination, named after one of his hit records with Parton. He also hosted Opry Backstage during the 1990s on The Nashville Network. 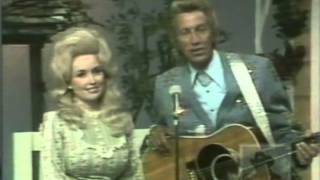 Though Parton's departure caused some animosity on both sides, the two reconciled in the late 1980s and appeared together a number of times in the following years; Parton inducted Wagoner into the Country Music Hall of Fame in 2002. Wagoner made a guest appearance on the HBO comedy series Da Ali G Show in 2004, its second season, interviewed by Borat Sagdiyev. On July 14, 2006, he underwent surgery for an abdominal aneurysm. Wagoner was honored on May 19, 2007 at the Grand Ole Opry for both his 50 years of membership and his 80th birthday. It was telecast on GAC's Grand Ole Opry Live that day with artists including Parton, Stuart and Patty Loveless. Grand Ole Opry Live host Nan Kelley was part of the birthday celebration as well. 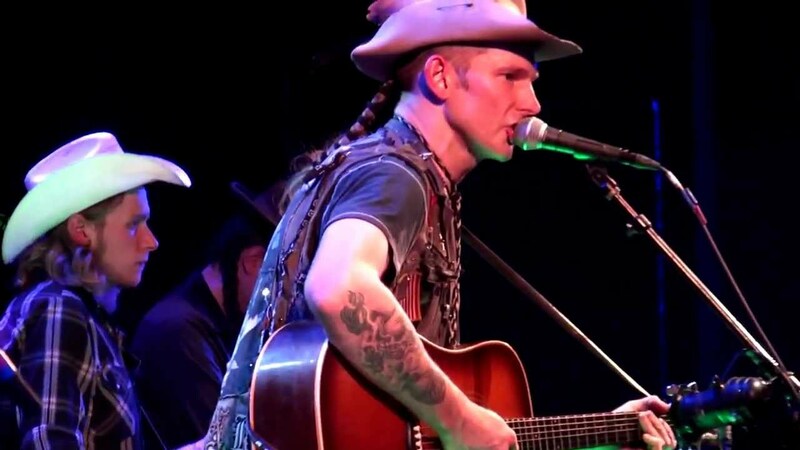 On June 5, 2007, Wagoner released his final album called Wagonmaster. The album was produced by Marty Stuart for the Anti- label. The album received the best reviews of Wagoner's career and briefly charted on the country charts; a music video was also produced of one of the tracks, a cover of Johnny Cash's "Committed to Parkview". He toured during the summer of 2007 to promote the album, including a late-July appearance on Late Show with David Letterman. 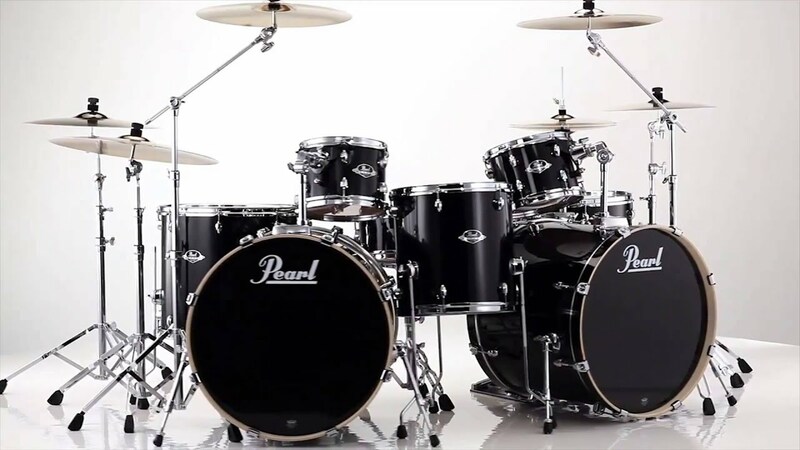 One of these was to open for the rock group The White Stripes at a sold-out concert at Madison Square Garden in New York City. Wagoner was married twice, to Velma Johnson for less than a year in 1943; and then to Ruth Olive Williams from 1946 to 1986, though they separated 20 years before the divorce. He was survived by his three children, Richard, Denise and Debra. 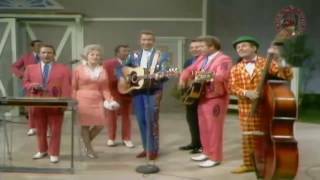 Until his final illness, Wagoner appeared regularly on the Grand Ole Opry and toured actively. He died from lung cancer in Nashville on October 28, 2007, with his family and Dolly Parton at his side. Wagoner's funeral was held November 1, 2007, at the Grand Ole Opry House. He is buried at Woodlawn Memorial Park Cemetery in Nashville. 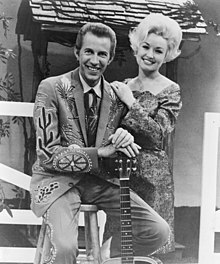 Dolly Parton performed a concert at her theme park Dollywood in Wagoner's memory after his death. Porter Wagoner Boulevard in his native West Plains, Missouri, is named in his honor. In 2013, the television show Drunk History presented a brief summary of Wagoner's relationship with Parton. In 2009, Lily Allen used clips of Wagoner and his show in the music video for her song, "Not Fair". 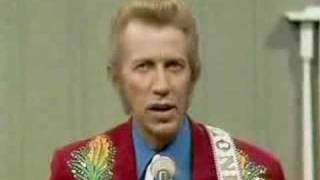 ^ "Who is Porter Wagoner, and what sort of influence did he have on the music scene?". eNotes.com. Retrieved . ^ Eng, Steve. (1998). 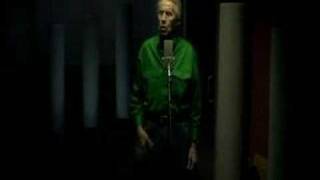 "Porter Wagoner". In The Encyclopedia of Country Music. Paul Kingsbury, Editor. New York: Oxford University Press. pp. 565-6. ^ "Archived copy". Archived from the original on 2007-10-28. Retrieved . 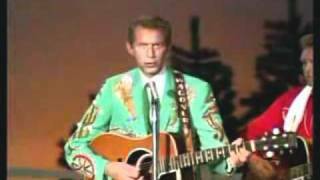 ^ "Porter Wagoner Memorial Services Set". CMT.com. 2007-10-28. Retrieved . ^ "Lily Allen - Not Fair". YouTube. 2009-03-20. Retrieved . 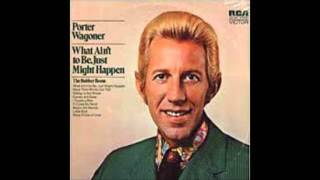 "Porter Wagoner". Find a Grave. Retrieved 2013.